Haomei is a 5052 aluminum coil supplier specializing in aluminum coil stock as a rust-proof aluminum in various industries. The main alloying element of the 5052 aluminum coil is magnesium, which has very good molding processing properties and is widely used in construction, automotive, marine, machinery manufacturing and other industries. 5052 aluminum coils are mainly used for high-quality plasticity and good weldability, low-load parts working in liquid or gaseous media, such as oil boxes, gasoline or lubricating oil pipes, various liquid containers and other small deep-drawing products. 5052 aluminum coil is also commonly used in transportation vehicles, ship sheet metal parts, instruments, street lamp brackets and rivets, hardware products, electrical enclosures, etc. As a 5052 aluminum coil supplier in china, Haomei finds out the advantages of 5052 aluminum on the application field. The 5052 aluminum is the most resistant to acid and alkali corrosion in the 8 aluminum series, which makes the 5000 series aluminum alloy suitable for the environment that most aluminum plates cannot adapt, greatly expanding the application range of aluminum. 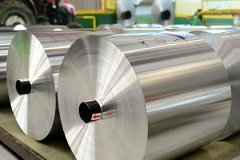 The 5052 aluminum coil has high plasticity and good processing performance, and can be adapted to various processing methods such as bending, stamping and stretching. The aluminum coil 5052 has excellent thermal conductivity and is the best material for making equipment casings and radiators. 4. Strong resistance to pressure. The hardness of the 5000 series aluminum is relatively high among the 8 aluminum series, and it can be further processed to improve the strength. It is the main material for making high-end mobile phones and computer casings.